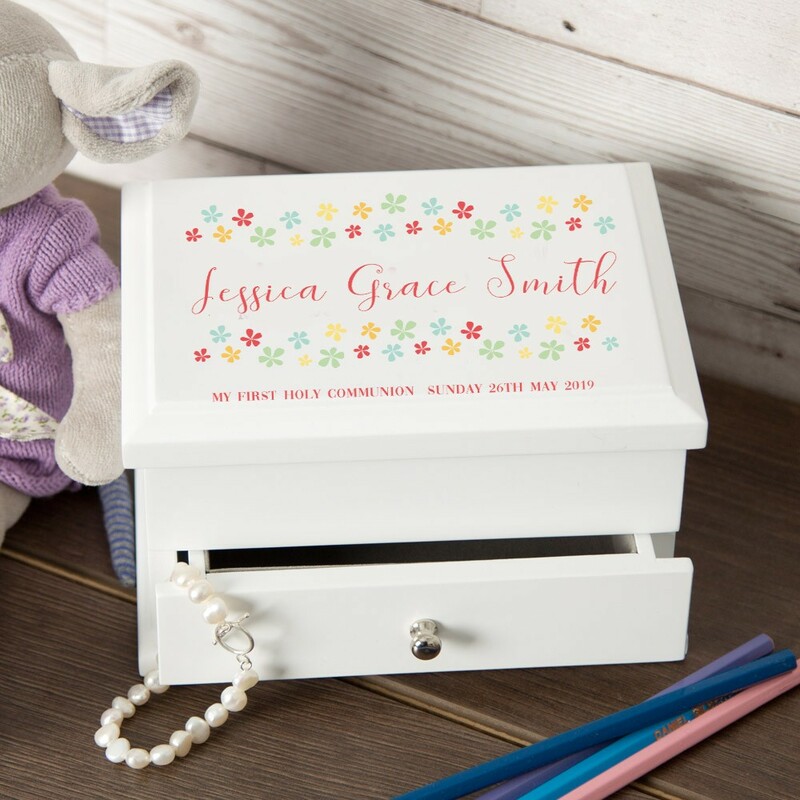 This quality Jewellery Box has been designed as a forever Keepsake of the very special occasion of a little girl's First Holy Communion. 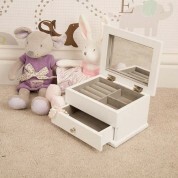 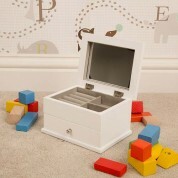 The wooden Box is lined throughout and features a mirror, ring, earring, trinket and bracelet compartments - all a girl could possible need! 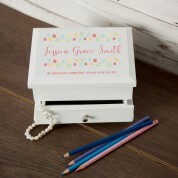 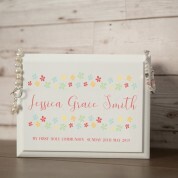 This is not a toy but rather a very high quality professional wooden jewellery box which is personalised with a floral design, the recipient's name, the occasion and date of occasion.